"Feleac" redirects here. For the similarly-named commune in Cluj County, see Feleacu. 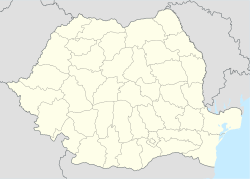 Nușeni (Hungarian: Apanagyfalu; German: Großendorf) is a commune in Bistrița-Năsăud County, Romania. It is composed of seven villages: Beudiu (Bőd), Dumbrava (Nyírmezőtanya), Feleac (Fellak), Malin (Almásmálom), Nușeni, Rusu de Sus (Felsőoroszfalu) and Vița (Vice). At the 2011 census, 74.4% of inhabitants were Romanians, 25% Hungarians and 0.5% Roma. This page was last edited on 13 June 2018, at 17:52 (UTC).